Fulton Heights Neighborhood in Grand Rapids is bounded by Michigan Street on the north, Plymouth Avenue on the east, Fulton Street on the south, and Fuller Avenue on the west. 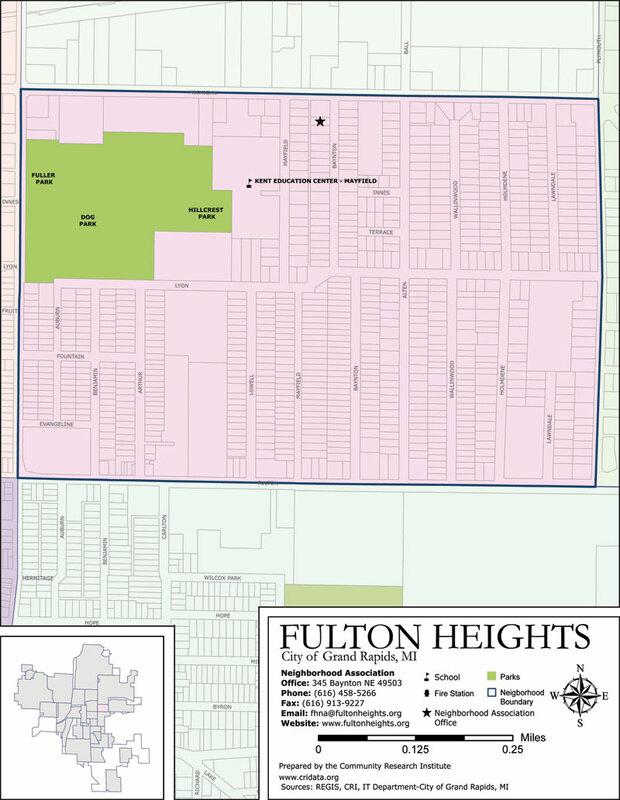 Features of Fulton Heights include Fuller Park, Hillcrest Park, Hillcrest Dog Park. Kent Education Center, East Fulton Business District, and the Michigan Street Business District. Fulton Heights is home to three churches and one temple, along with several faith-based organizations, including the Salvation Army, Holland Home’s Fulton Manor and the Holland Home Brown Manor which was once the Women’s Home and Hospital.